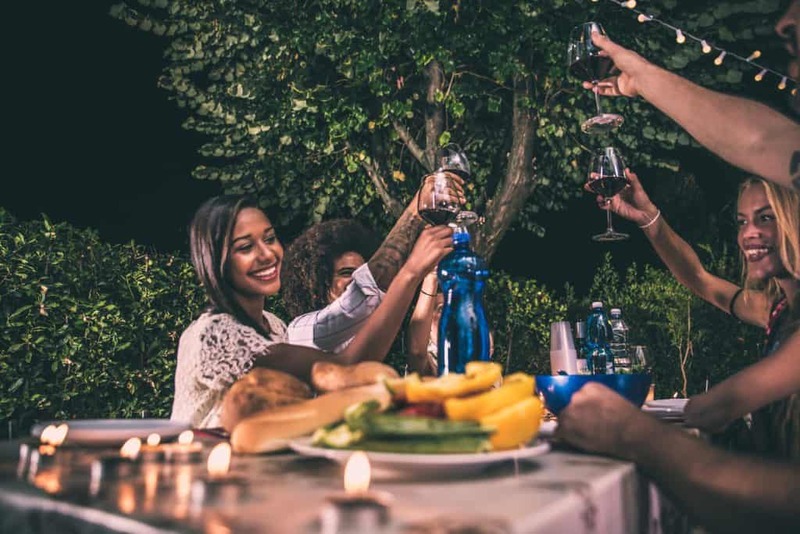 A delicious night garden is the perfect venue for entertaining friends in the months from spring to autumn. So is your garden night time ready? 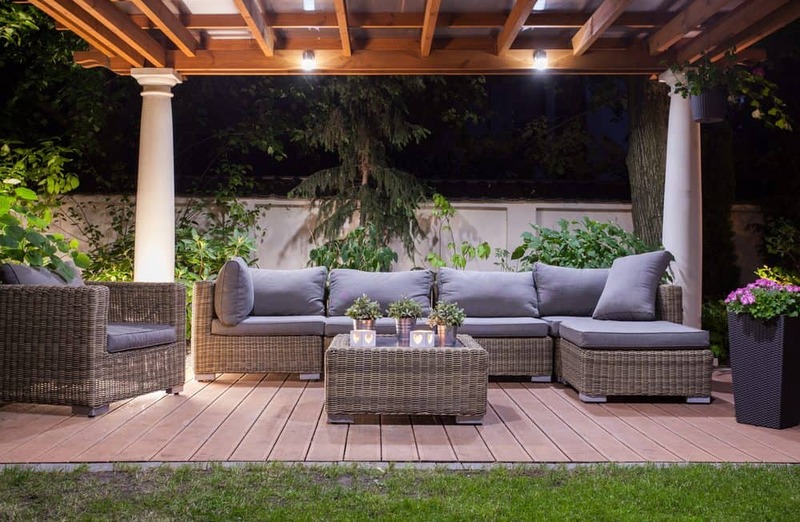 With the weather heating up, you may be looking for ways to get the most from your outdoor space. In particular, to maximise the use of your garden as a beautiful night garden in which to cool off during those long summer evenings. The guide below will offer the best results for a delicious night garden. While you may not be too bothered about shelter overhead while it’s warm, having some shelter from the neighbours so you can have a little privacy is always a good thing. Fencing can work well, and there are metal and concrete options that look smart and will last for ages and need very little maintenance. Laser cut metal or specialist outdoor material, such as the great privacy screens from Laminex, are perfect. They also allow some air flow. Another option is to use natural resources to section off different areas including trees and shrubs. In fact, trees are excellent for privacy screening from the neighbours. Choose fast growing trees such as Pittosporum or Lilli Pilli suitable for your topography and climate. Although you can get trees relocated from one place to another by companies specialising in tree removals and related services. Something that can work out a lot quicker if you need privacy now, and you have some well-established trees on your land already. Light is an essential part of enjoying a night garden. However, it’s important not to overwhelm the space with light and make it seem like it is the middle of the day at 11pm! This is because it can ruin the relaxing nature of sitting outside and experiencing the natural rhythms of the sun going down. Instead, go for a single flood light attached to the house and shining on the dining area, or a collection of low-level solar lights places around the social area. If you have a pool or a pond, some subtle coloured floating lights can also give a pleasant, almost magical glow too. You can even get wax flowers and boats to rest tea lights in for this purpose. For cool LED outdoor lights and LED furniture try Luxo Living. While this might not be a massive concern in the heat of summer, if you want to enjoy your outside space in the spring and all the way through to the autumn, having a source of heat outside can help you do that. One option is a chimenea, a large pottery chimney that you can load with wood and that will keep you warm. There are also electric outdoor heaters to choose from, as well as the decorative fire pits that contain treated glass. The latter being good for heat and a gentle light that can be particularly mellow in the evening time. When enjoying a night garden, it is also important that you pay attention to safety. Keep guests and kids away from any unlit areas, and position any heating devices slightly away from everything else, so they don’t present a fire or burning hazard. Also remember that evening time is often the most bug infested, so invest in a citronella candle and some bug spray, just to be safe.